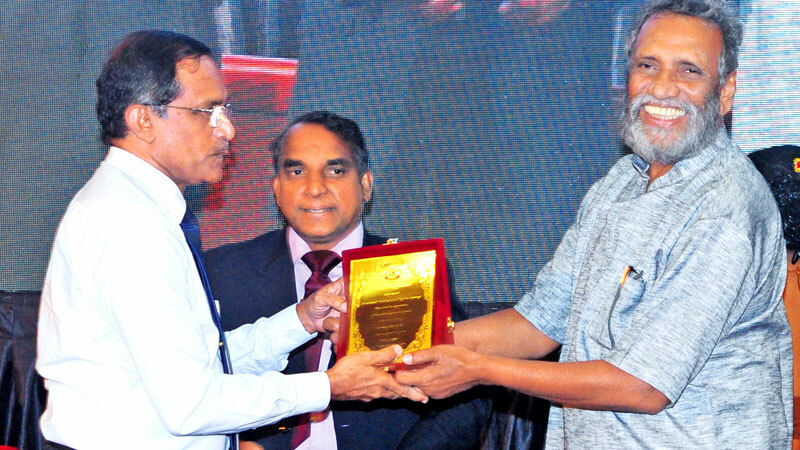 Elections Commission Chairman Mahinda Deshapriya presents a token of appreciation to Associated Newspapers of Ceylon Limited (ANCL) Deputy General Manager (Production, Planning and Marketing) Rasantha Chandrathileke to recognise ANCL’s contribution to the print media, at the 30th anniversary celebration of PAFFREL in Colombo yesterday. Elections Commission Chairman Mahinda Deshapriya said yesterday that Provincial Council Elections should be held first before all other elections. He said the delay in holding Provincial Council (PC) Elections is very much in the news these days. “I will continue campaigning for the Provincial Council Elections if there is further delay,” Deshapriya said. He said the Presidential Election cannot be held until November 10, adding that he will not resign as the Chairman of the Election Commission before that date. He was speaking at the 30th anniversary celebration of PAFFREL held in Colombo yesterday. The main problem prevailing in the country now is conducting elections at the scheduled time. If Provincial Councils are no longer required for the country, why are the authorities not taking steps to abolish them from the Constitution,” he asked. The Election Commission always ensures the democratic voting rights of the people. We must ensure the free expression of the opinion of the people through free and fair elections held on time,” Deshapriya said.